TSTI’s acclaimed Understanding Space Course is now available 100% online! 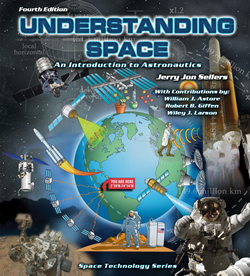 Based on the award-winning text Understanding Space: An Introduction to Astronautics, this is the same aeronautics course presented to over 20,000 space professionals from NASA, NRO, ESA, US Air Force, and major companies in the space industry. Previously this course was only available to aerospace organizations and their personnel onsite. Now it is available to all space professionals and the general public through this unique online course! This course is designed to make you “space smart,” by building your understanding and appreciation for the complex requirements of space missions. Your Space Adventure Starts Here! Want a basic introduction to space? • 24 guided lectures – presented by the author of Understanding Space – spanning every aspect of space mission design, development, technology and operations – nearly the equivalent of a semester-long course! • 100% self-paced – you have up to 4 months to complete the course on your own time when it is convenient for you! 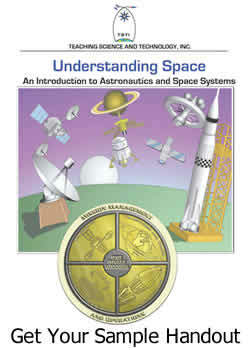 An electronic copy of the award-winning Understanding Space text (a $50 value!) plus get 2 extra months, 6 months total, to complete the course. • One-on-one mentoring from one of TSTI’s award-winning instructors. Your Personal Course Mentor will guide you every step of the way to achieve your learning goals!